With the rise of HR Big data, a focus on analytics in HR coupled to the rise of social media marketing, it’s high time for HR to bite the bullet and accept that a large part of its role is around branding and marketing. Of course, this doesn’t mean that the C-Suite and the existing marketing powers that be will necessarily roll out the red carpet to HR marketers, as HR is probably still a little pigeon holed as a back office and slightly siloed function. This means that HR departments will need to climb out of the rabbit hole themselves and start deploying marketing best practices in their talent attraction and employer branding processes. 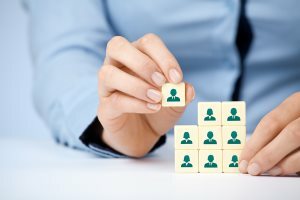 One key area to focus on is employee segmentation, which is a direct relation of the more familiar marketing tactic known as customer segmentation. Marketers don’t adopt a one-size-fits-all approach to their marketplace; they segment their audience and devise marketing messages and offerings specifically attuned to the audience —which, incidentally, is becoming increasingly individualized and varied in its tastes. This increasingly individualized marketplace naturally follows through to the employees who are becoming increasingly discerning, meaning employers cannot afford to adopt a one-size-fits-all approach to talent management. Employers, and in particular HR, should begin to embrace employee segmentation and look at fair, sensible and innovative ways to group and segment employees and tailor HR practices to attract, motivate and retain talent from each individual employee segment. 2. Service focused employees: strong performers who wanted performance-based pay and overtime and were happy to work less typical shift patterns in exchange for increased rewards. 3. Experienced Craftsman (who were generally older): more willing to exchange some pay in exchange for flexibility to work fewer days. The company was able to use this segmentation to deliver a more tailored offering, which led to an increase in work quality and customer loyalty scores. Bain & Company cited another example of a major telecom company in Asia that used segmentation to offer different incentive plans and working schedules to its field force to boost performance. These are just a few examples of how you can segment employees, but there are many more ways to do it. In their book , “Workforce of One: Revolutionizing Talent Management through Customization,” Susan M. Cantrell and David Smith have produced a “bible” on next generation employer branding processes using employee segmentation. They identify multiple variables around which you can segment employees, such as demographic, relationship to the company, geography, performance levels, personality, values and behavior, etc. Finally, having segmented your employee population, you can create a much more tailored and stylized HR and employer brand intervention, which engages with more of the workforce more of the time.